I am rather partial to soup. I make it often and in every season for two reasons: I hate sandwiches for lunch and I find soup restorative. 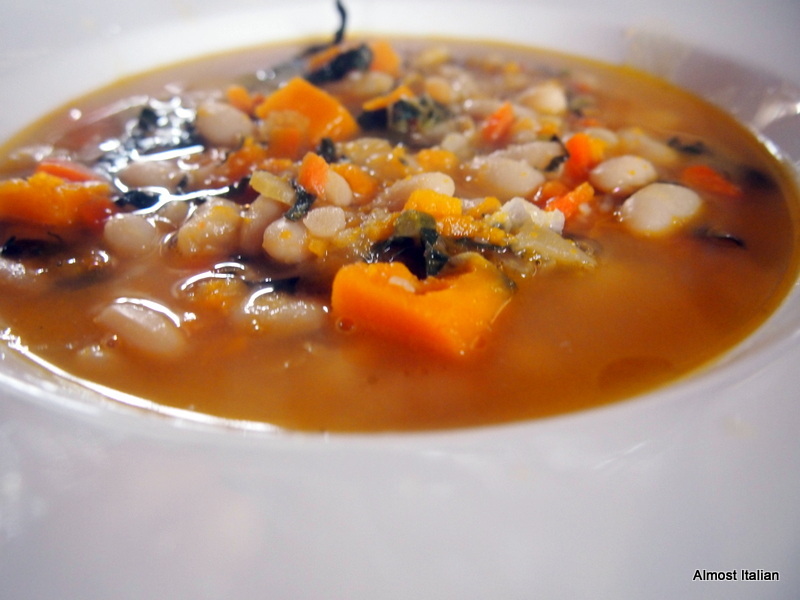 Winter soups often tend to be hearty, loaded with vegetables and added beans or pulses, barley, rice or pasta or they are thick vegetable purées such as pumpkin or celery soup. Each member of the family has their favourite. Noah can eat barley and vegetable soup all day, Mischa is a pumpkin soup girl, and Daisy can smell stock bubbling on the stove from a mile off. 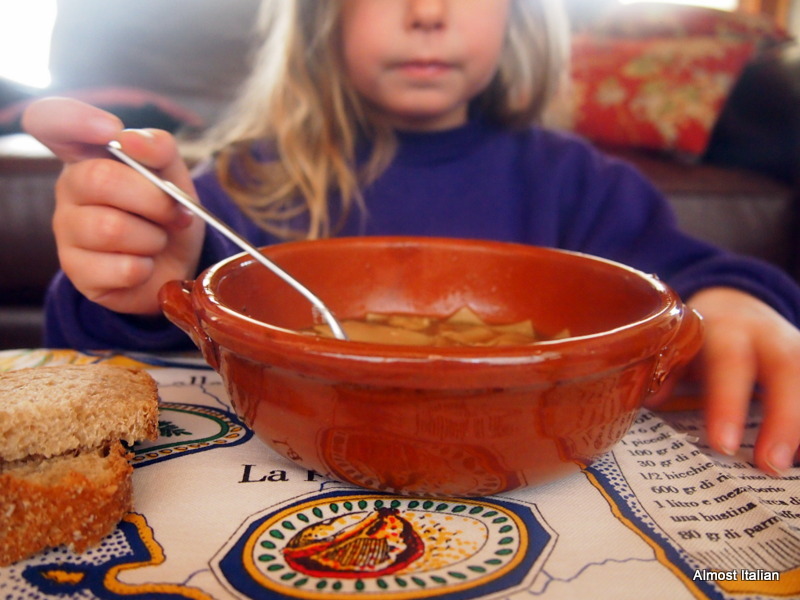 Charlotte wants Andrew’s soup, her title for Minestrone and Oliver will only eat zucchini soup. As the vegetable stock reheats on the stove, I have been reflecting on the contraction of the English language when it comes to soup. We do have other terms for soup but most of them are French in derivation and are not exactly quotidian, reserved only for fine dining restaurants. (consomme´and potage come to mind). Speaking of restaurants, did you know that the word restaurant (meaning something restoring) was first used in France in the 16th century to refer to a highly concentrated, inexpensive soup sold by street vendors, that was advertised as an antidote to physical exhaustion? 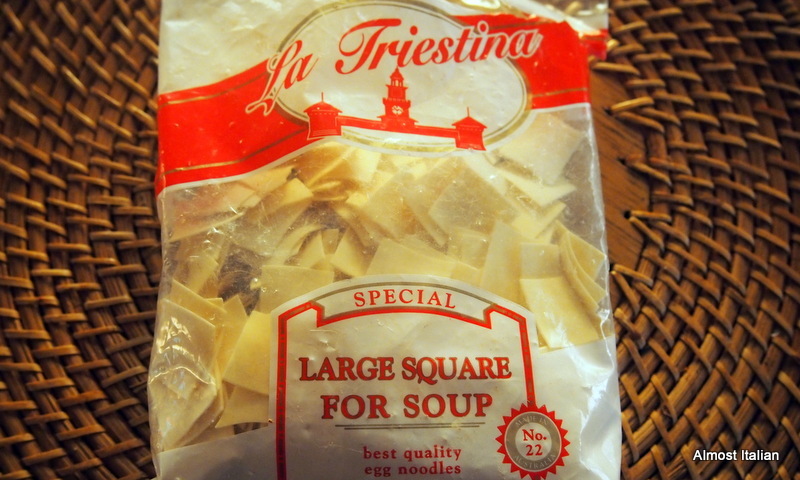 The Italian language is more precise when it comes to soup. Zuppa (Soup) is more often called minestra but when it is loaded with a variety of ingredients, it becomes a minestrone. ( the suffix ‘one’ meaning big, large or long which can be added to any noun). A creamy puree´ soup is a crema or crema di verdura , where the vegetable may be named. Pumpkin soup then becomes Crema di Zucca. A light brothy soup is brodo. Pastina are small pasta shapes, often made of egg dough. As I have some stock left from my onion soup recipe, a light broth with a little egg pasta and parmesan becomes a five-minute lunch. Heat broth to boiling point, season, add the egg pasta and cook as per packet instructions, then serve with ample grated parmesan cheese. A slightly longer version includes beginning with a little soffrito of finely chopped onion, carrot and celery, cook in oil on medium heat until softened, then add the broth and proceed as above. 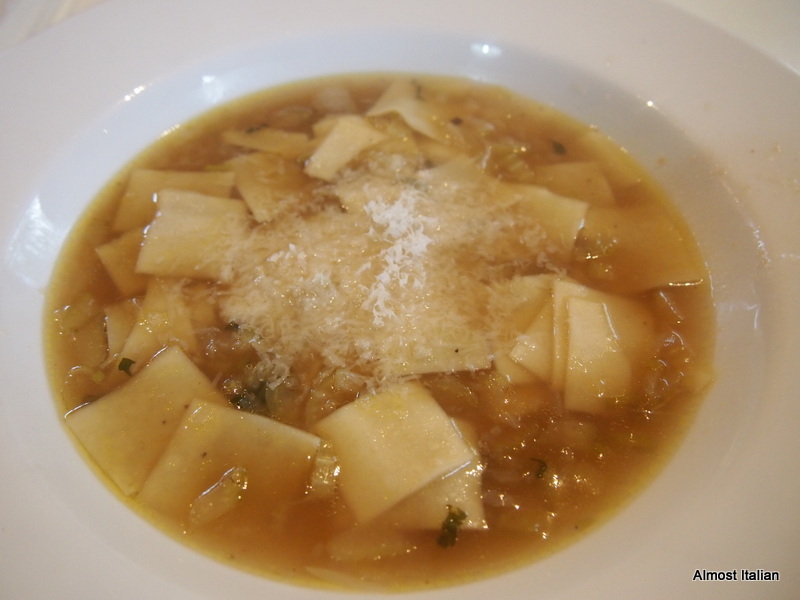 Or heat the stock, add loads of finely chopped fresh herbs and the parmesan. The beauty of this broth depends on the quality of the stock. Comforting and restorative. My Favourite Pastina by La Triestina company, Brunswick. Sei come la forchetta nel brodo, non servi a niente– You are like a fork in the soup, you’re useless. Gallina vecchia fa buon brodo– an old hen makes the best broth. – Experience is a virtue. 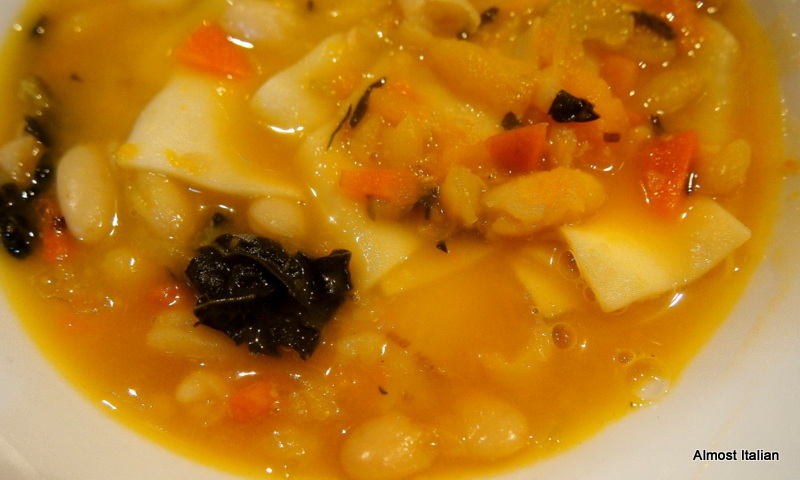 Il brodo di rane fa venir sani– A broth of frogs makes one healthy. Really?? ?This expression must come from Pavia. Chi ha la mestola in mano, si fa la minestra a suo modo. Who holds the ladle, makes the soup in their own way- Having power to act in their own way by imposing their will. Minestra di cannelini, zucca, pastina e cavolo nero.